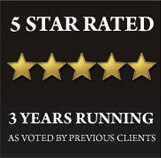 Working together so that you can work..
Westkin Associates are a bespoke Law firm based in London. Our immigration solicitors are regulated to the highest level by OISC (Level 3) meaning that they have the knowledge, experience and skills to work with you to obtain the visa that you are applying for. 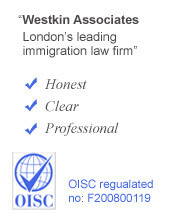 Contact us today on 0207 118 7868 or via info@westkin.co.uk to speak to one of our top immigration solicitors today and let us help you with all your immigration needs. This page is an basic outline of the Tier 2 UK Work Visa. This page is intended as a guide only and the information contained is no subistute for a qualified immigration solicitor. Why work in the U.K? The U.K is one of the most attractive countries in the World to live and work in. Each year thousands of migrants move to the U.K to work and to start a life.The U.K is home to a diverse range of communities and cultures and is a melting pot for languages and customs. The U.K is continuing to grow after the global economic crises and, economically speaking, the U.K is expected to grow by 2.5% in 2016 according to the OECD. We are proud to assist migrants who are looking to rellocate to the U.K with their Tier 2 application. Our immigration solicitors have the experience, knoweldge and expertise to assist you with and guide you through your application and project mange every step of the process. Tier 2 (General) is governed by the Points Based System which means to qualify you will need to score 70 points as well as satisfy other Immigration Requirements. Points will be awarded for English language, your annual salary and allowances, maintenance and holding a certificate of sponsorship. Your employer in the UK will sponsor you to work in the UK. Your employer is your sponsor and will need to provide you with a certificate of sponsorship which will identify your salary and other details of your employment. Your sponsor must also be on the register of sponsors and hold the relevant sponsorship licence. Can your dependants apply with you? Westkin Associates make numerous Tier 2 applications on a weekly basis. Consequently, our lawyers are well versed in these types of applications and are also able to assist you with applications which require a quick turnaround. Westkin assist clients with Tier 2 priority service applications where the decision is received within 10 working days. These expedited applications require skilled lawyers who are experienced in this field and who are confident they can gather the required information and documentation in a short space of time.